Stricter federal mortgage rules coupled with recent Bank of Canada rate hikes have put the brakes on home ownership for a growing number of Canadians. At least, it has for homebuyers that go to the big banks for their mortgages. Tougher lending rules from traditional lenders means more and more Canadians are turning to alternative lenders to help them secure a mortgage. It used to be that coming up with a down payment to buy a home was the tough part. Not any more. Ottawa has implemented stricter lending rules over the last number of years, making it more and more difficult for the average Canadian to qualify for a mortgage. In early 2018, all federally regulated financial institutions began vetting their borrowers’ applications to ensure they can pass a stress test to make sure they can make their mortgage payments even if interest rates rise. 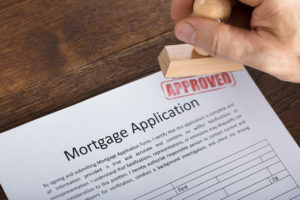 That includes using a minimum qualifying rate equal to the greater of the Bank of Canada’s five-year benchmark rate, or, the actual mortgage rate they agreed to, plus two percentage points. If you fail the stress test, you’ll have to rethink everything. This includes being content with a smaller mortgage or settling with a less-expensive house. Thanks to the big banks, owning a home is now out of reach for most Canadians. There isn’t much anyone can do when approaching a traditional lender to get a mortgage. But there are other options, namely, alternative lenders. Alternative lenders are not bound by the same lending rules as the big banks. Because of this flexibility, alternative lenders have a lot more freedom when it comes to helping potential homebuyers secure a mortgage. That’s something more and more homebuyers are noticing too. The number of new mortgages from the big banks is in free fall but the number of people turning to alternative lenders, like mortgage investment corporations (MICs) has increased drastically. Alternative lenders once only attracted high-risk borrowers, that isn’t the case anymore. In fact, tighter lending rules mean once-bankable homebuyers are being turned away from traditional lenders. It also means MICs are seeing a huge influx of higher quality borrowers. They can be pickier with the types of borrowers they deal with and even charge more. Increased mortgage regulations mean fewer Canadian homebuyers are using the big banks. Instead, better quality borrowers are turning to alternative lenders looking for bigger mortgages. The best way to fortify your investing portfolio, is to take advantage of Toronto’s strong real estate market and invest in the Mortgage Company of Canada’s high-yielding residential real estate mortgages. Owning shares in a MIC allows you to invest in a company that manages a diversified pool of residential and commercial mortgages. Mortgage Company of Canada is a MIC and alternative lender that specializes in lending to specific sectors of the mortgage market, historically those underserviced by private and institutional lenders in terms of loan type, amount, and geographic location. Mortgage Company of Canada’s portfolio is diversified in over 700 mortgages, with a value of over $215 million. And that number is growing rapidly. Over the last 12-months, our mortgage portfolio has grown 70%. Thanks to a seasoned management team with over 45 years of lending experience, a reputable independent board of directors, and strong track record, Mortgage Company of Canada has been able to provide investors with a stellar high yield annual dividend of 9.25%, with distributions paid monthly. Had you invested $100,000 with Mortgage Company of Canada in 2009, today, that investment would be worth $252,371. To find out how you can diversify your investment portfolio with Canadian real estate, visit our web site or contact Mortgage Company of Canada at 1-866-318-7222. 1. “Mortgage Company of Canada July Newsletter,” Mortgage Company of Canada web site, last accessed October 1, 2018; https://www.mcoci.com/wp-content/uploads/2018/08/Mortgage-Company-of-Canada-July-Newsletter.pdf.